Analog III has been submitted. Welcome to the new analog. Analog III. It will come up as version 1.0.1 when approved. There were more things that I wanted to do before submitting, but I just wanted to get it up there and available for those looking for a 64-bit application from me. It’s been a while since I’ve gone through the submission process and I had to relearn some things as well as generate some profiles. The submission process from the archive view is a joy. Through the local validation process I was able to ascertain which things needed fixed. I’ve added some functionality from previous versions (pre-Analog III). 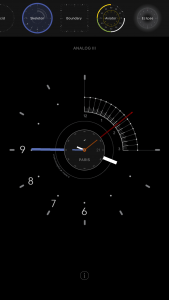 I added many travel clocks you can display. I added a sweeping seconds hand to all faces. I’ve added an after 5PM marker (crescent moon) for all clocks. I display evening shade – which helps for travel clocks (AM/PM). 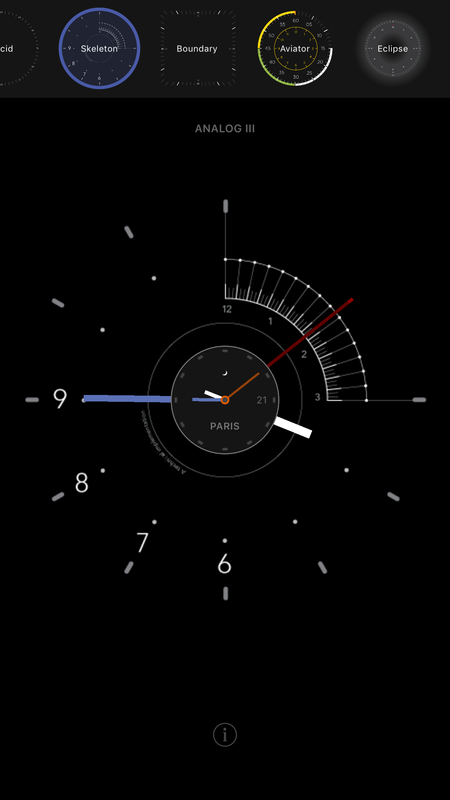 I allow for the selection of several watch faces – more to come. I’m not happy with the travel clock selection as far as turning it on/off. To turn it off, you need to slide to the left until you get to the first item – which is instructional text. If you’re way over to the right travel clocks, that could be a lot of swiping to turn it off. I’m not sure how many will use this feature, so I’ll leave it as is until I get some feedback about it. I thought about alarms, etc. but I wanted to keep this pretty simple. I also thought about landscape support. I’m not sure how important that is. If you want or need it, I can address that too. So fingers crossed for a timely decision on the application. I can’t wait to see it in the new App Store for iOS 11. ⟵Any DE shavers out there? Any DE shavers out there?